Ideal for smaller businesses or those with a tight budget, these open workshops allow you to share the cost of the session with other businesses. If you have a small group of 1-5 people that need a little help improving their performance on the phone, then these are for you. This workshop will show you how to generate great leads over the phone with ease and will cure any feeling of “phone phobia”. Everyone is given special attention throughout the day to ensure each participant makes a significant breakthrough when it comes to making calls. It will be an interactive day of learning and experience but be prepared to laugh at yourself and accept some of your demons. The topics being covered will include,. Full money back guarantee – I’m so confident that you will walk away with a whole new attitude towards making new-business calls, that if you don’t leave feeling more confident when you pick up the phone you can have your money back, no questions asked. Interactive groups session – All food and refreshments will be provided along with a take away pack of the day’s material and telemarketing tip sheet PLUS an invitation to join a live webinar. This workshop takes building rapport on the phone to the next level. Great motivational ideas and a brief intro to NLP (Neuro Linguistic Programming) and how it can help you be more effective at selling. Pick up techniques to fine tune your communication skills and learn how reading between the lines gives you the ability to take control of your conversations and get the outcome you want. 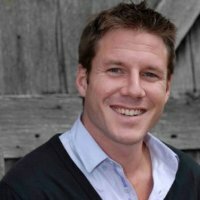 With guest co-host Tristan Soames (NLP Master Trainer) we guarantee it’ll be a day that changes your life and business. Groups of up to 12 people Refreshments and Lunch will be provided along with a take away pack of the day’s material and guides + an invitation to join a live webinar.